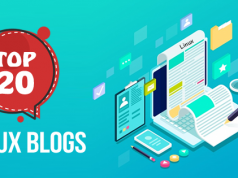 Blog Linux How to Prepare for CompTIA Linux+ LX0-103 Certification? How to Prepare for CompTIA Linux+ LX0-103 Certification? 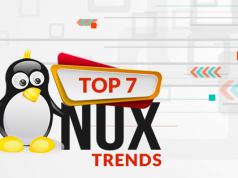 Linux+ is recognized everywhere, and it is growing continuously as well the career scope is huge for Linux Professionals. In this article, let’s discuss CompTIA Linux+ LX0-103. CompTIA Linux+ certification exam mainly focus on the tasks related to administration and also on the fundamental functions. This certification is useful for everyone who wants to prove their expertise and want to add more credentials in their resume. So, the first question that comes to mind is how can you become CompTIA Linux+ certified? Which exam needs to be cleared to become Linux+ certified? Here is the answer to all of your questions. To get the Linux+ certificate, two below examinations are recommended to crack. 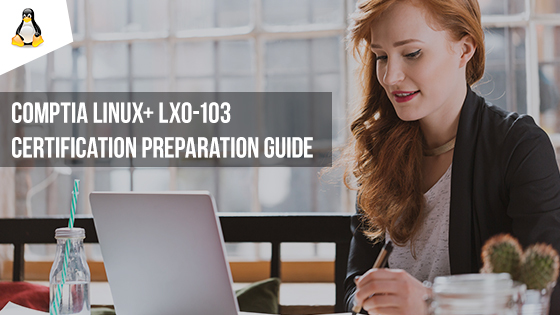 LX0-103 is the first certification exam that needs to be cracked to get the Linux+ certification, and then after that, you need to pass LX0-104. There is a very high requirement for the Linux certified professionals. 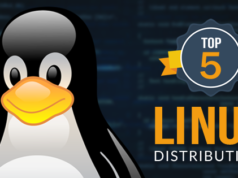 So, if you want to show your Linux skills to your employers and you want to build your career in such a field where demand is high, lots of jobs are available, and you can achieve your goals then you must go for this certification. Why CompTIA Linux+ LX0-103 Certification? We have presented this article for those who always think whether they should go for CompTIA Linux+ LX0-103 certification or not. So, here we have come up with all the information needed for the LX0-103 certification exam. Now you will be able to make your own decision whether this certification is something you should go. LX0-103 is one of the most commendable certification exams for both fresher and experienced candidates in the today’s world. If you want to improve your performance, this certification will help you in getting the necessary knowledge on installing Linux and the management of packages. It will help you to understand the UNIX and GNU commands. Also, you will be able to control Linux File System, File Hierarchy Standard, and much more. Just go through the material that is readily available and also check out the practice exams. How to Prepare for Linux+ LX0-103 Certification? To pass CompTIA Linux+ certification is not an easy task, but this certification will help you to go the advanced level Linux certifications. This certification is one of the most spreading certifications and so, it creates a lot of competition for you. But don’t worry, you can tackle this examination with the proper guidance and efforts. So, here we are listing some approaches for you to clear this certification. Just following steps during the preparation, and you will get certified. Self-study: Nothing can be better than self-study. We all know that preparation of an examination requires lots of efforts, hard work, and time. So, if you are a self-learner, go for self-study to prepare for the exam. CompTIA LX0-103 Certification is not much difficult to crack. If you have little dedication and attentiveness, surely you can clear this exam. Study on Regular Basis: We recommend that you should study regularly as it is not sufficient to study only at the time of the exam. You must study at least 1-2 hours on a regular basis for good results. For working professionals, it is hard to give time for study daily, but they should also try to study regularly. Collect the required study material: To prepare for any certification, first of all, you should collect complete syllabus needed for the exam. So, first find the full list of topics that need to be covered for this LX0-103 certification exam. Review the CompTIA Linux+practice test papers: After you have prepared well, try some CompTIA Linux+ practice test papers. Then you will understand whether you are ready for the exam or not. It is the most important activity that you should do after you are done with your study. With Whizlabs LX0-103 practice exam, you can find your weak areas and thus, you can improve it. Exam preparation guide: Use the CompTIA Linux+ Training and Exam Preparation Guide. You can take full advantage of this guide as it will point you in the right direction and will help you to clear the exam. Linux Certification Books and E-books are also there which will give you an idea about important information related to the certification exam. Try practical in workshops: Leaning is not enough, you have to understand the logic, and for this, you should try things practically in labs by running the Linux commands. You should have theoretical as well as practical knowledge for the exam. It will help you to clear any exam whether it is Linux+ LX0-103 or any other. It will help you to understand the things in easy, simple, and straightforward manner. Online Study: In today’s world of technology, everybody prefers online study instead of studying the books. Online education has gained more popularity as everything is available online. There are lots of e-books available to prepare for the exam. You can get also the e-books to prepare for this certification exam. You can take complete advantage of these free resources available to explore and prepare for the exams. Many online courses are available for CompTIA LX0-103 Certification. You can go through the progressions to prepare well for the exam. We understand that it is somewhat difficult to clear the exam in the first attempt, but with proper guidance and proper study, it can be quite easy. We at Whizlabs aims to help you, so we provide you the CompTIA Linux+ practice tests to prepare for the certification exam. Start your preparation for the exam with Whizlabs Free Tests. Follow all the tips mentioned above and make an appropriate plan of study that will help you to succeed. If you have any query related to the LX0-103 certification exam, just write your comments below, we will be happy to answer your questions. hello there, Thank you for the article . can you please tell about how the marks are divided topic wise . ?